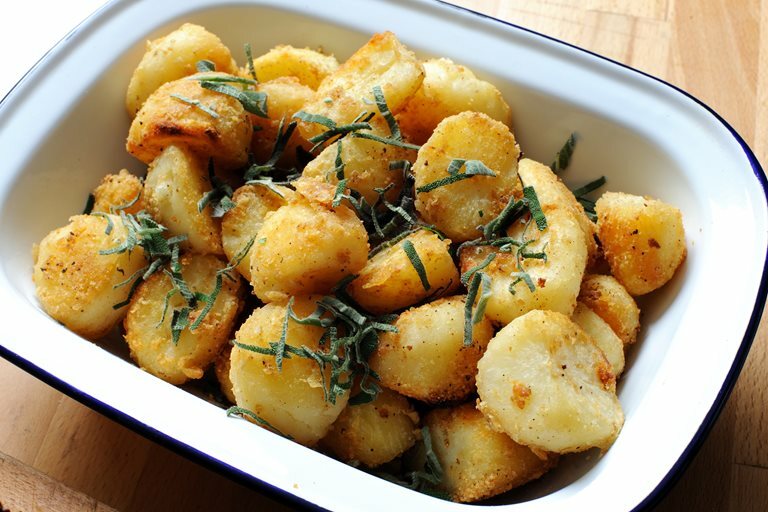 Roast potatoes are essential to any British roast, and this is one of the best roast potato recipes out there. The goal is to achieve crisp potatoes that are fluffy on the inside. Maris Pipers are the best for the job, and shaking the pan after par boiling will produce rough uneven outsides, to crisp up in the really hot duck fat.